The “-palooza” suffix has become such a mainstay in our vernacular that it’s hard to remember when it all started. Well, way back in 1991, a touring festival named Lollapalooza hit major cities across North America, and it brought huge alternative acts with it. Some were already famous (such as co-founder Perry Farrell’s group Jane’s Addiction) and others were still gaining celebrity (such as Nine Inch Nails). 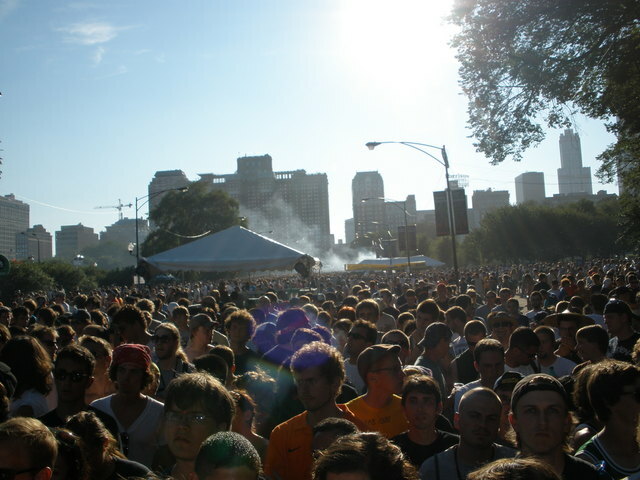 The festival went away for a few years, but in 2005 Farrell decided to resurrect Lolla as a destination festival in Chicago’s Grant Park. 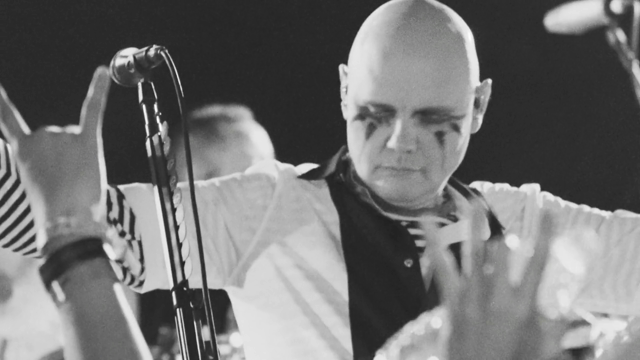 The festival continues to book some of music’s biggest acts alongside some up-and-comers. Although it still focuses on rock, the festival has included hip-hop, country and world acts. Now in its fifth year in the Windy City, Lolla’s a well-oiled machine ready to entertain you for three days with over 130 bands. Here’s what you need to know if you’re one of 225,000 music fans flocking to Grant Park August 7-August 9. 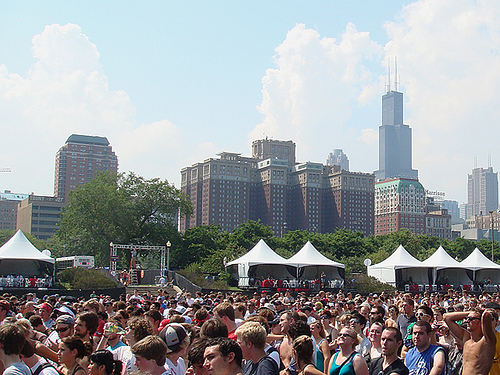 Lollapalooza takes place in Grant Park, which is smack in the middle of downtown Chicago. To the west of the park you have the famous Michigan Avenue, and to the east only Lake Shore Drive separates you from the scenic Lake Michigan. On the north, south, and west of you are Chicago’s amazing skyscrapers towering over the park, which means it’s hard not to snap a breathtaking picture at some point in the weekend. Although Grant Park is over 300 acres, the festival only occurs on a portion of that land. Millennium Park and the Art Institute of Chicago take up part of the park’s space. So while you’re jamming to Jane’s Addiction, you’ll be mere feet from the museum where Ferris Bueller spent some of his day off. Plus, you’re standing in the same park that President Obama gave his election-night speech. Whoa. The site’s midpoint is Buckingham Fountain (aka the Married With Children fountain), which is on Congress Avenue. On the north side of the park is the Budweiser Stage, which houses half of the big headliners. On the side is the Chicago 2016 Stage, which hosts the other half of the big acts. In between are 6 other stages, including Kidzapalooza for the youngsters and Perry’s Tent for the dance lovers. Cash – Plenty of it. Although there are ATMs on site, the lines can get pretty long when people realize $10 isn’t enough money to get them through the day. Although the merchandise booth took debit and credit cards last year, you never know when the machines might not work. And food vendors only take cash. Sunscreen – The August sun can be brutal. Although it’s been a tame summer, Chicago weather is unpredictable. Water – You’re allowed up to two sealed 1-liter bottles of water per person. Stay hydrated and save money by taking advantage of that allowance. You can bring in empty water bottles to fill up at the fountains, too. Toiletries – When you’re outside in the heat and wind and you’re using porta-potties, you’ll be glad you have contact solution, hand sanitizer and hand wipes. Even a roll of toilet paper comes in handy in case they run out by the end of the day (and they often do). Small to medium backpack – You need something small to carry your water, merchandise, and toiletries. Ponchos – It probably won’t rain, but you never know. The festival doesn’t stop for rain. Blankets or towels – If you prefer to sit during some acts, a towel comes in handy since much of the park ground is concrete and dirt. The advantage of having a music festival in an urban setting is how easy it is to get to. If you live or stay in a hotel anywhere downtown (which includes South Loop, Loop, River North, or Magnificent Mile), you can easily walk to the park. If you insist on driving, you have to use one of the underground garages at the park, which can be a big ole mess. The easiest way to get to Grant Park is via public transportation. You have several options. Red Line (subway) – Exit at Jackson or Harrison, then head east. Pink, Green, Orange, or Brown Lines (elevated train) – Exit the Adams/Wabash stop. Depending on the direction you’re traveling from, the Library stop is also close. Walk east. Blue Line (subway) – Exit Jackson stop, walk east. Hint: When you’re leaving the festival, and if you’re heading north, walking a little farther south to the Orange and Red Roosevelt stops often means you get on the train before most of the crowd does-ensuring you’ll have a seat. When you walk through the festival entrance, you’ll be in the middle of the grounds. To your left (the north) are the BMI Stage, Perry’s Tent, Playstation Stage, and Budweiser Stage. To your right (the south) are Kidzapalooza, Citi Stage, VitaminWater Stage, and Chicago 2016 stage. There are also restrooms, food and beverage vendors, and ATMs on both sides of the park, so you don’t have to trek too far to reach one. The Budweiser and Chicago 2016 stages are where the headliners play. Perry’s Tent, which moved from the east to the west side of the park, is where you’ll catch the DJ acts. Note that many (but not all) of the DJs spinning in the tent play for longer than most other acts, so you can easily drop in for some of their sets and still catch other bands. Keep in mind that, although the park isn’t as huge as Bonnaroo’s site, it can take a good 10 minutes to walk from one side to the other, especially when you factor the migrating crowds going from stage to stage. When planning your schedule, factor in travel time. Kidzapalooza acts start at 11:00 a.m. (because kids are way more alert in the morning than adults are), and the rest of the stages start between 11:15 and 12:45, depending on the day. No act plays past 10:00 p.m. on any night. 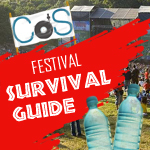 If you want to avoid crowds and aren’t keen on seeing a headliner’s full set, leaving before the final song will save you some time and help you beat the crowds, especially if you’re taking the train. But who wants to skip a minute of music? If you stay until the headliner ends and you’re in the middle of the crowd or near the stage, factor in a minimum of 15 minutes and as much as 30 minutes to leave the park grounds. Organizers tend to open extra exits along the west fence once the headliners wrap up, but you’re still trying to squeeze tens of thousands of people through a few gates. It takes time, so be patient and be prepared to shuffle only a few steps every minute.